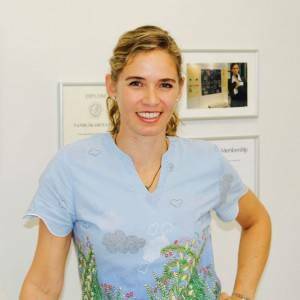 Dr Alex, now at Aesthetics Eleven, Greenpoint, Soma Studio, Wynberg and Gingerlily Spa, Wynberg, stands for the highest standards of aesthetic medicine with comfort and empathy for the patient as her number one goal. Her many years of experience, postgraduate education and her perfectionist and caring nature have aided her in becoming a top general dentist and aesthetic practitioner. She uses a variety of the latest techniques and treatments including anti-wrinkle injections, dermal fillers and other medical/cosmetic modalities to restore your natural beauty. Alex qualified at Malmö University in Sweden and has 14 years of international experience in Sweden and England. Her particular interests are in aesthetic dentistry, &apos;Full Face Orthodontics&apos; and facial aesthetics or facial rejuvenation. Born and raised in Stellenbosch and Durban in her teens, Dr Alex moved to Sweden in 1995 after Matric. She qualified as a dentist at Malmo, Sweden in 2003. She moved to the UK, Cambridge starting a state of the art dental practice in 2005. For 7 years she was principal dentist at the surgery, gaining much experience and was well respected for her friendliness, gentle touch, for being thorough and careful and her eye for dental aesthetics. In January 2013 having sold the practice, she was able to follow a long-term wish to return to Cape Town. She carried out her public service duties at the University of the Western Cape, Dental Faculty and chose to simultaneously study a Postgraduate Diploma in Aesthetic dentistry at the University of the Western Cape. She has worked at a number or practices in the Southern Suburbs. Recently, she has retired from dentistry temporarily, and is focusing on aesthetic medicine. She is available for aesthetic consultations at Aesthetics Eleven, Greenpoint, Gingerlily Spa, Wynberg and Soma Studio, Wynberg, Cape Town.